Video went dim after upgrading - Got a Question - Alfred Center | get the most out of the best home security app! The bottom photo is when I first installed the free app and then decided that I would like this app enough to support the paid version. 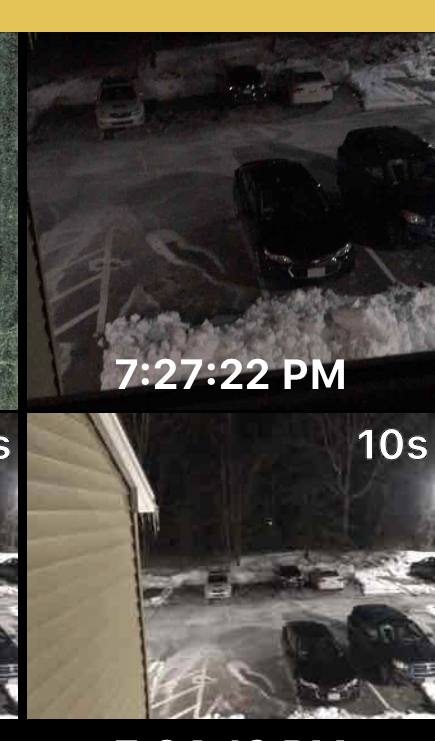 Somehow, right after I upgraded my video became very dim (top picture) on the camera screen and my viewing phone. If I open up the camera app, everything looks normal. For some reason it’s stuck on a dimmer setting just within Alfred. I have tried restarting the app and phone, as well as reinstall Alfred altogether to no avail. The most recent post on this issue was from a year ago stating a resolution should be found soon. Any advice? Thanks in advance!! I have the same issue on my Galaxy tab 8 A’s rear camera. Its been doing that for a couple of years and Alfred support doesn’t know what to do about it. Good luck with yours. By the way, thats the only problem Ive had with Alfred. I have it on 4 other devices with no problems. I have Athome and Wardencam and they don’t do that on my tablet. Could you please try one thing for us? Enter the live feed of your Camera, turn on the low-light filter, turn off the low-light filter and see if the situation gets better. Also, from the screenshot you provided, we found that the angle is a bit different between the pictures. Have you tried to move the Camera device a little bit to see if that helps? Please keep us posted if you find out anything! I wanted to give an update for what seems to have fixed my issue. After trying all I mentioned in my first post and what Ricardo recommended - I was still having the same issue (camera was showing darker just within Alfred). What DID fix my issue was a full wipe of the phone and a fresh setup (not restoring from backup). Afterwards I installed Alfred and launched it, INSTANTLY everything brightened up I could immediately tell a difference from the events Alfred had saved before I wiped my phone, vs what it looks like now. IN CONCLUSION - I’d encourage anyone with this issue to try a complete erase + setup your device as new (do not restore from a backup, you very well may bring the problem back!). Thanks so much for keeping us posted with your solution! I believe it would help a lot of other users who experience the similar problems.